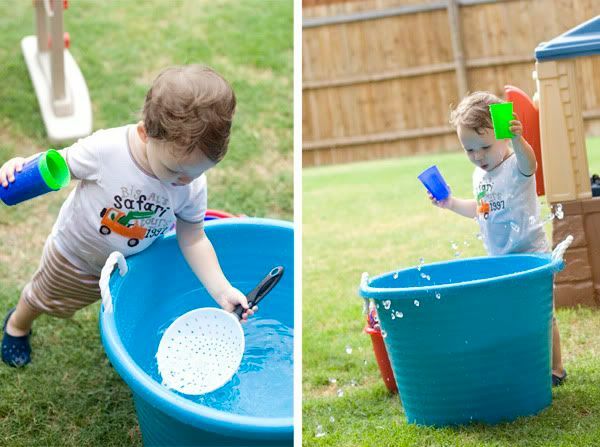 Last weekend we set up water activities in the back yard for Ethan. We still visit the neighborhood and my parents' pools, but it's nice to have stuff in your backyard too. First, it was a big bucket of water. 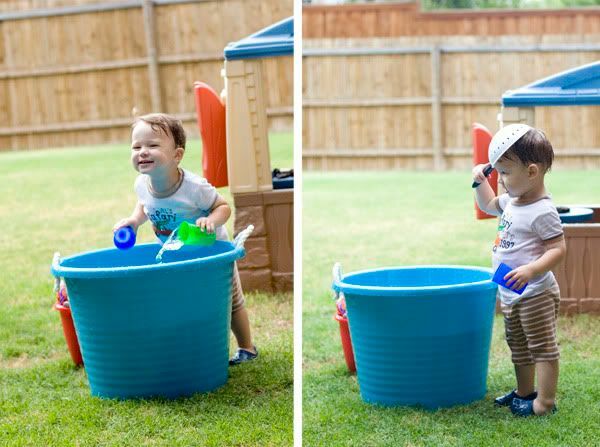 That container usually holds the balls and other outdoor toys on our patio, but Ethan loved playing around with the water in it. I also brought out the water hose, which has about 7 different spray settings. He loved getting chased with the water and getting all wet. He squealed and laughed. 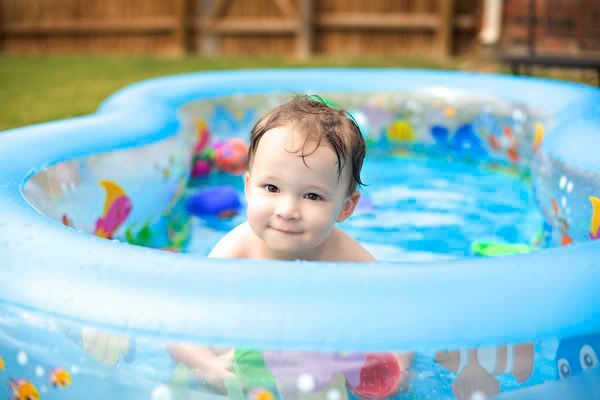 Then, we brought out the inflatable pool when it was getting so hot that Ethan was trying to get into the blue tub of water. All I can say is...thank goodness for our air compressor. That was a purchase that has shown its worth many, many times. Ethan had a ball. 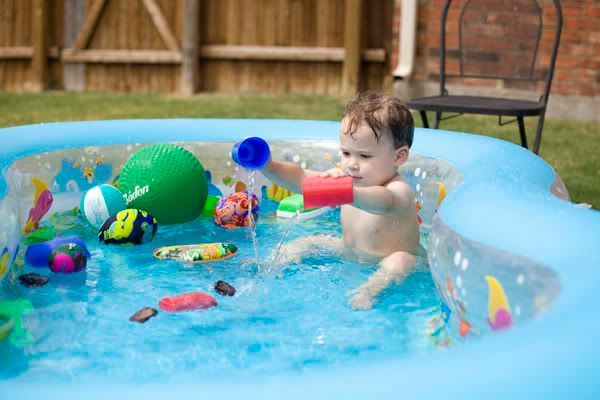 And as you can see, the previously mentioned pool toys feature prominently in all of this water play. We used the "water park" several times this week. Our pool bit the dust last year, I have to go get another one soon. It sure saves you on those days that are so hot you think you will melt! You get in with him to cool down, don't you?